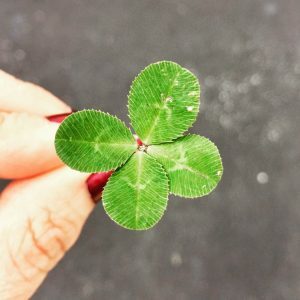 Home » Is Luck A Big Factor In Success? Luck is a common factor in any successful person’s story. A year after founding Google, the founders were willing to sell their company. For less than $1 million… a price the potential buyer said was too high! The founders went on to be counted among the richest men in the world. What a lucky break that they were unable to sell Google when they wanted to. How much of a factor does luck play in success? We tend to think of the positive aspects of luck – of what fortune brings us. However, we fail to acknowledge that luck can also prevent something good happening to us now so that something even better can happen to us in the future. It’s human nature to want a story that makes sense. A logical explanation for success. Why is an individual more successful than another? Or a company more profitable than the rest? Often, the missing link is… luck. Is it possible to create luck? That’s debatable. Many authors have written books that suggest there are techniques to create luck. I’m not sure this is convincing proof that we can fully create our own destinies. You can be the judge of that outcome. What I do know is that the people who get lucky breaks keep trying. They are willing to hustle. And are never content pulling back or playing it safe. This week – try something new, pick a new place to have dinner with a friend you haven’t seen for a long time, explore a part of your city you haven’t seen before… take a risk of some sort that puts you in an unfamiliar situation. You might just get lucky!